Decentralization is at the core of our work. In the past ten years, we’ve decentralized HIV treatment to over 174 clinics across the region, meaning people can get medication and care right in their communities. Support decentralization with a donation of bitcoin. To receive a tax receipt, click the button below and you will be redirected to a contact form. Donations of $15 CAD or more are eligible for a tax receipt, which will be mailed directly to you. 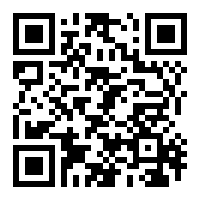 If you do not require a tax receipt, use the QR code or form below.